It's great that there are art communities that are proud of themselves and work together to put out an artbook to showcase their work. 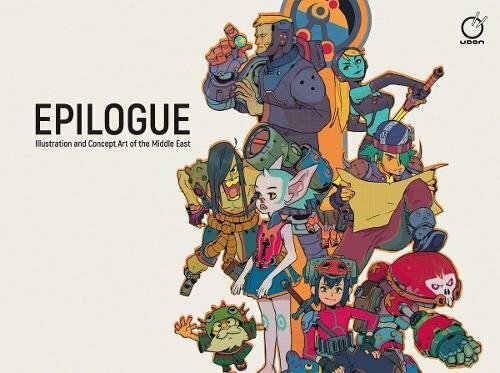 For the artbook Epilogue, artists from Middle East have contributed their artworks to be featured in this book. The artworks featured are mostly concept art style typically seen in artbooks from video games or movies. There are a couple of illustrations that are more traditional, like comic style art, and a few in anime colouring style. As a whole, Epilogue is like a portfolio artbook that features a bit from each artist. So the variety of art featured is varied. And there's no specific theme behind the selection. The artworks are certainly beautiful and this book serves as a good showcase to get more publicity for the artists featured. And it's a pleasure to see that there are such talented artists from the Middle East.